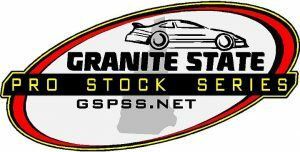 Going into the JBH 100 this Saturday, August 11th at Monadnock Speedway in Winchester, NH points leader Cory Casagrande of Stafford Springs, CT will not be in attendance due to a pre-planned family function. “I’ll be giving up my points lead for my brother Kyle’s bachelor party this weekend, I wish everyone the best of luck and will be back for White Mountain on Saturday, August 18th.” Casagrande said. quick shower may have slowed the evenings schedule before heats began but, the energy at Hudson Speedway was overwhelmingly positive. New ownership from Ben Bosowski and his team have re-ignited the spark of short track racing in Hudson, NH. Cabral ran Mini Stocks throughout the 80’s at Hudson Speedway with success. As time progressed Cabral also ran in the Bud Light Lightning series in the late 90’s and early 2000’s. The 2012 Series champion Cabral also ran an LCM Motorsports pro stock in select races at Hudson after his championship run as well.